The Insurance Fraud Bureau (IFB) has reached its 500th conviction after a crash for cash gang was found guilty of deliberately causing a crash in Warwickshire. The main orchestrator of the fraud, Amar Hussain, pleaded guilty before the trial began, with his acquaintances Riaz Wazim and Benjamin Hamula standing trial. The pair were found guilty of making false insurance claims. Another individual Sahood Khan, who was also part of the scam to make fake claims, pleaded guilty before the trial. During the trial, the court heard how the group ventured onto public roads with the sole intention of deliberately crashing into innocent and unsuspecting members of the public, putting people at a very real risk of serious injury. The gang were then submitting multiple claims to insurance companies for fake injuries, vehicle damage and solicitor costs. The IFB were originally contacted by Warwickshire Police with intelligence of suspected induced crashes taking place in and around Warwickshire. Working closely with the police, the IFB provided support in reviewing seized letters and documentation that the gang were using to commit the fraud, ensuring Warwickshire Police had a complete understanding of the gang’s activity, which could be taken forward for prosecution. 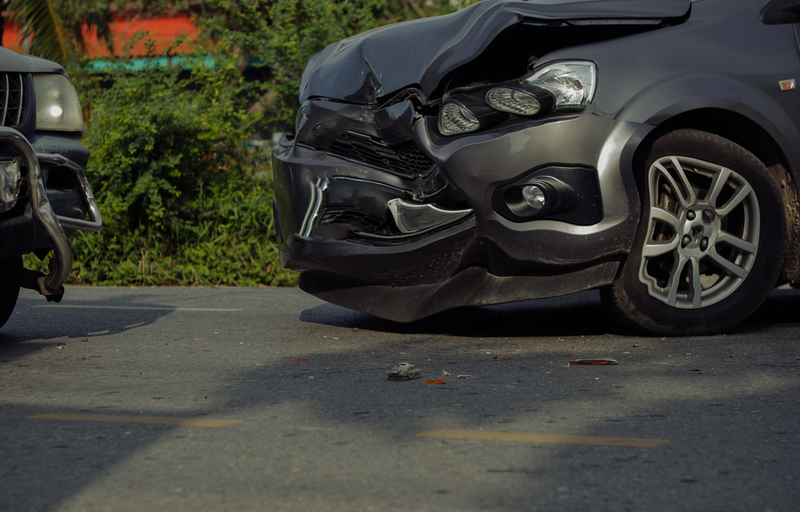 The group used scripts to authenticate their fraud, detailing the scenarios surrounding each crash to ensure that nothing could put their claims in jeopardy when reporting them to insurers. A piece of paper found in the possession of Hussain at the time of his arrest, included the specifics of accidents with drivers and vehicles details. The notes also included basic drawings of the crashes as a prompt of their colluded story, along with a noted reminder of the fake back and neck injuries they were attempting to claim for. Ben Fletcher, Director of the IFB, said: “All too often we see innocent members of the public being targeted by crash for cash gangs like these. The public need to be extra vigilant when driving on the roads and report any suspicions they have to the Cheatline. These gangs are sophisticated, using scripts to ensure their fakes claims looked valid to insurers and will try anything they can to exploit money from the system.